Cradle of Filth are one of the bands that I grew up listening to. I’ve seen them live three times before, in three different countries (the U.K., France and Finland). The last time I saw them was in Tampere back in 2013. This time they announced that they will only be playing one show in Finland – Helsinki. The venue was a club called Nosturi (“the crane”) located near the shipyard, just outside of the city centre. I haven’t been there in years… Yesterday was the first day of winter which meant that I stood in the snow and rain waiting to get in. The place was packed by the time I entered the building. Overall it was a really good night. It was well worth the trip. Whilst I still prefer to attend local gigs, I’m willing to travel further so for bands like this. 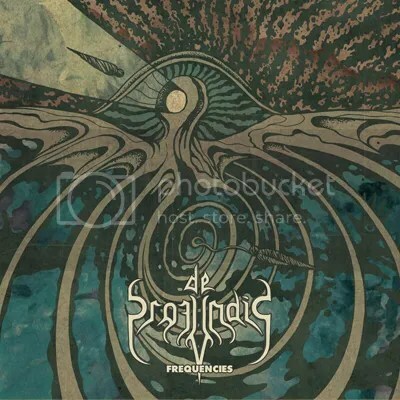 As I sit down for a third listen to the second offering from De Profundis, their Frequencies EP, I’m acutely conscious that this is also the third time I’ve got too caught up in the song-writing to actually put finger to keyboard and construct a review. Some music just draws you in so you forget about everything else for a while, but I guess instead of getting so engrossed I should concentrate on tackling the task at hand. From the offset, this stands out as something a bit different. 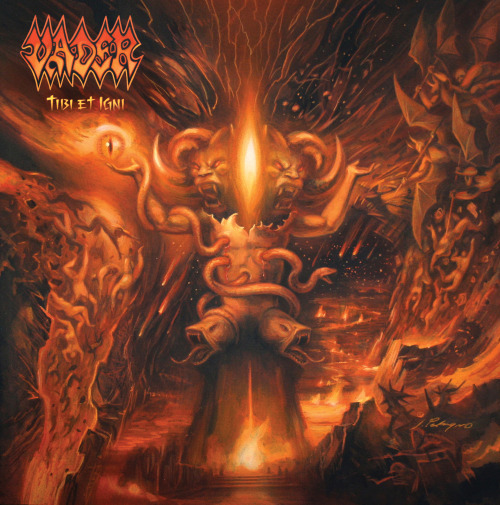 It’s as if De Profundis have crafted a recipe for metal cake: 1 part ‘80s Maiden, 1 part Death circa Human, baste liberally with Vader (a nudge and a wink to those who find the band name familiar), and top with a generous helping of secret sauce, possibly handed down from an old Swedish relative. Having leaked some of the tracks on-line, they have received a mainly positive reception, but a few seem to have found it complex and confusing. I may just be more acquainted with the technical side of metal, but I’m certainly not suffering from a similar affliction. Yes, the musical ability is of a high calibre, but the ebb and flow of each song is natural and there are hooks galore for the more experienced(?) listener. I would prefer to use the word ‘unpredictable’ rather than ‘confusing’ as a descriptor here: It is far more appropriate to suggest intelligence than self-indulgence in conjunction with this release. I say detractors be damned! Sometimes, this kind of epic is just what the doctor ordered. I was really impressed with De profundis’ last full-length The Emptiness Within, more so than their early doomy back catalogue. However, this selection of new tracks – most of which will be featured on another upcoming album – reflects a rising maturity which could well see them take the step to the next level in the UK scene. I’d expect, or at least hope, to see festivals sniffing around their door in the next year or so, because this material would easily translate to that environment. Initially, I wasn’t that enthused by the production. It wasn’t that I thought it was poor, it just seemed to be missing the biting point. Until I had to whack up the volume to drown out the crazy noise of my surroundings, and BOOM! Suddenly it all made sense! This just sounds better LOUD! The thrashing sounds thrashier, the growling sounds…growlier..? Quiet just doesn’t do it all justice, and there’s no way around that. It’s just one of those recordings. It’s also the first to feature the talents of newest member Paul Nazarkardeh, and one has to wonder if this has had any influence on the increased speed and ferocity. If so, long he remain with them! Personally, I can’t wait to hear the full album if it hits the ears like this does, but in the meantime, impatient people can grab the digital copy of the four track Frequencies as of June 19th, but if you prefer something solid, then a physical release will be available to subscribers of Terrorizer magazine in July. I’ve got my promo copy and it is getting cranked up as far as my skull can handle! UK based extreme metal label UKEM Records have announced a new signing in the form of Days Of Perversion. 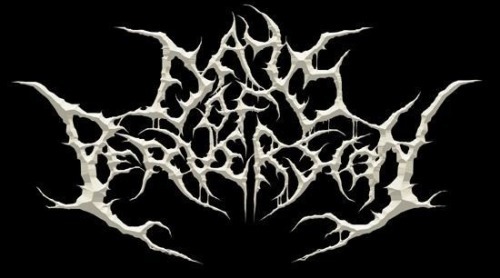 The London-based progressive death metallers are season veterans on the UK’s underground metal scene, featuring members of Crepitation and Blasphtized. Slated for a late 2014/early 2015 release, the band’s debut EP will feature bonus demo material.